Above the Rest Auto Transport is an auto transport broker that prides itself on locating and negotiating the best price for your auto transport needs. They work with the most reputable carriers in the nation, so although the car shipping prices quoted may not be the lowest around, they will assure that you are getting top notch service for your transportation needs. They firmly believe that providing ethical business practices and educating their customers is the only kind of top quality customer service you should expect. Why should you use an auto transport broker? Because a broker will negotiate the most cost effective price for you that will guarantee that your vehicle is picked up and delivered in a timely fashion, and only with the most reputable carriers. Why does it seems that quotes are drastically different from company to company? 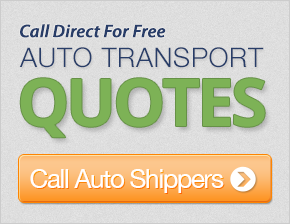 Most car transport companies base their quotes off of market prices set by auto transport carriers. All brokers use the same network of drivers, so the only real difference is the amount of deposit required and of course customer service. When a low price is quoted, it usually means it is a recommendation, not the actual price you will pay once your shopping is done. Above the Rest strives to make honest quotes that deliver your vehicle in a safe and timely fashion, while delivering exceptional customer service. Did you know that Federal Law requires that your vehicle is insured from the time it is picked up until the time it is delivered? The Carrier is required to carry shipping insurance that covers your vehicle while it is in their possession. Above the Rest Auto Transport seriously has customer satisfaction and vehicle safety at the forefront of any auto transport contract. Get a free comparison quote now at CarMoves.com and save up to 50% on your move. To ensure that your vehicle is transported in a timely fashion, safely and efficiently. You can be assured that they go "above the rest" to service their customers. Everything that the rep stated to me about the transporting of my 96 Pathfinder was correct and very helpful in assisting my son in LA receive his car on time and in good condition. My rep is a star. She went out of her way to look after me and I appreciated it. She would be the number one reason I would refer people to you. I wanted to thank the company for servicing my request on moving the Toyota. Everything worked out well. Once again, thank you. My car was picked up on time and delivered earlier than expected, which was great. The driver was courteous and the car came across the country with no problems. I would recommend you and use you again. I really appreciate the speed and quality of delivery and my rep's support. Thanks! I will be using your company in the future. Cheers! The driver was friendly and competent, but spoke little English, which made the pickup a bit difficult. He did a great job, though. Excellent service all around. If you ever need a reference, have them contact me. My rep was personable and easy to work with during the initial stages of the contract. The overall experience I had was good. This is an excellent service, and it was very prompt. The driver was very nice, and very careful with the car. He was on time with the pick-up and delivery. Good work. Thank you! My 2003 Mitsubishi Galant was delivered in the same condition it was picked up in by your driver. My rep did a great job with my 2 vehicles. My rep was excellent and very easy to work with. He was very professional and responded to all of my questions. I am very happy with the service and will use it again when I need to ship my car. My rep was very helpful with all my questions, and I had a lot of them. The car was picked up quickly and delivered on time. Thanks! My customer support person was great. I realize this business is going through some changes due to the economy, but you did pull through for me. My car arrived in good shape. Thank you all for your honesty and keeping me up to date. The rep at your office was very helpful in explaining the process, which helped us to plan and make arrangements with the seller. I had very personal and highly knowledgable service with my customer service rep. I have recommended your service to other people. I would not think of using someone else at this time to move my vehicle. Driver was a helpful and careful guy. Excellent service in all aspects. I had a great driver; I had no problems at all. Thanks! My rep was a great help. She was very polite and very nice. This is the second time I have used your company. If I need your service again, I would use you all. I wanted to thank my rep for all the help he gave us and his patience getting our cars to us. He was never impatient with us, and, when one carrier was not helpful, he got us a better carrier. I am very glad that he did. I would prefer your company to any friend of mine that needs their cars transported. Thanks for excellenat customer service with a caring attitude. My vehicle arrived on time. You have a very courteous staff. My vehicle was stored safely. Thank you! I was told that the car would be picked up Tuesday through Thursday. It was picked up on Sunday night. The driver dropped off the car exactly when he estimated at pick up, which was also when I needed the car. I received very good service. I got the truck sooner than I thought. The driver was great. He was very informative about his location and time frame, and the status of the vehicle. They were very helpful and professional. I would recommend them to family and friends. The driver was very courteous, friendly, and prompt. I would highly recommend and request him and his company again. My representative ensured my needs were thoroughly taken care of and provided all necessary updates effectively and efficiently. My rep was very helpful in scheduling the pick-up. It was a little tough for me to get a hold of the driver at the time of delivery. Overall, the service was fine except a few hick-ups in delivery. The driver was excellent, very cooperative, and helpful. It was a good experience. My rep was so helpful and friendly. He made me feel comfortable with auto shipping, and really went the extra mile to follow through when a problem arose. He was awesome. Thank you! Our representative was great. She did everything she could to get the car from NM to FL. Overall, I was pleased. Thanks again. The service was great. It was also a nice thing that the driver gave us a phone number to contact him. Thanks! Everything else was great! I was amazed at how fast my vehicle was shipped. I will definitely use your services again in the future for all my vehicle moves. My rep was great. I was going to use a different carrier that was $100 less expensive, but they did not have a certificate of insurance readily available. Your company has the certificate on the web site, so it was perfect. Keep up the good work! The driving crew was very understanding and polite. They care of me when I was out of town on the delivery date. The car looks like it was well cared for. All in all, I am impressed with your company. I would use you again. There was some initial confusion, but, otherwise, everything else went very smoothly and quickly once I scheduled the pick-up date.